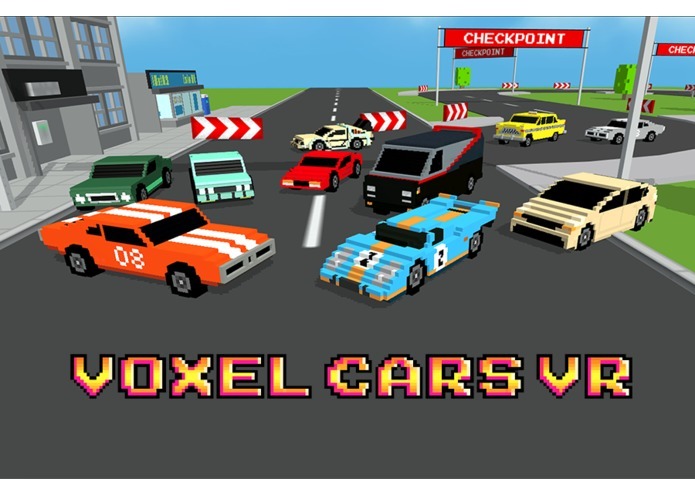 Fun and fast arcade 3D racing game with crazy cars made of voxels! 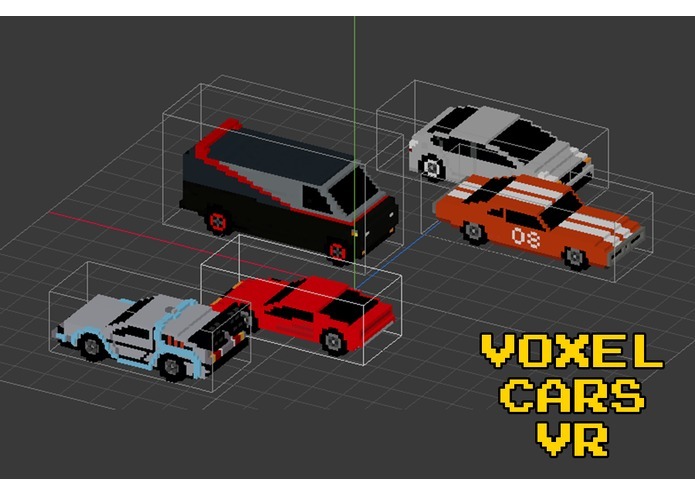 Voxel Cars is a fast arcade 3D racing Game in the world made of voxels. 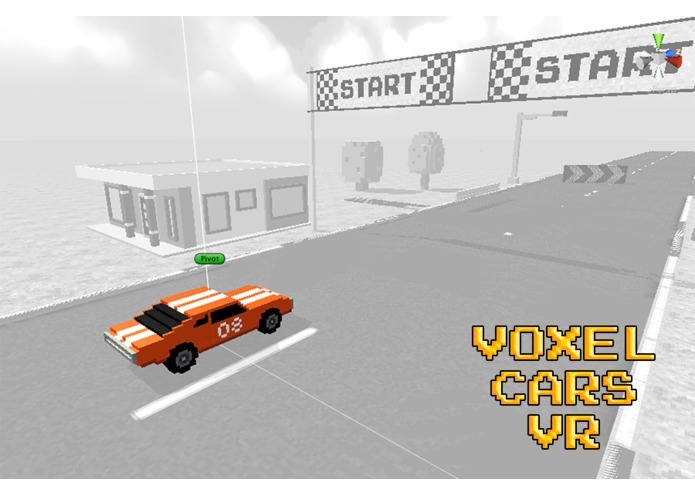 Player uses his head to control his voxel car by pointing driving target on the ground. 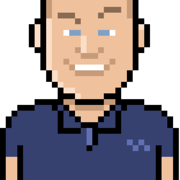 Takes part in various missions, races and other enjoyable activities. 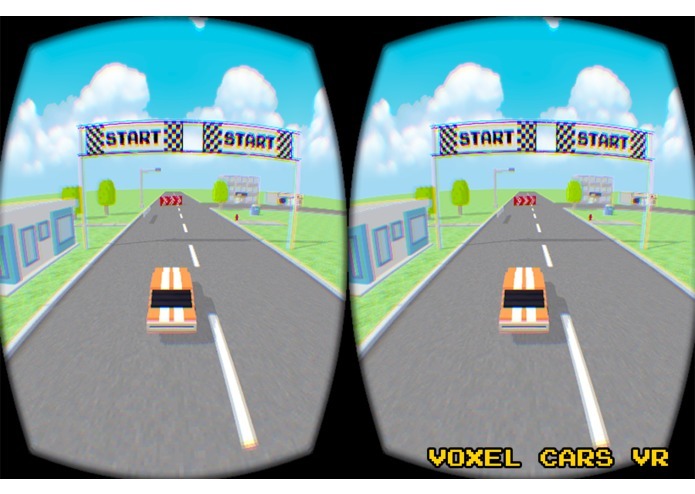 The game is fully playable with Gear VR, no extra control accessories are needed. 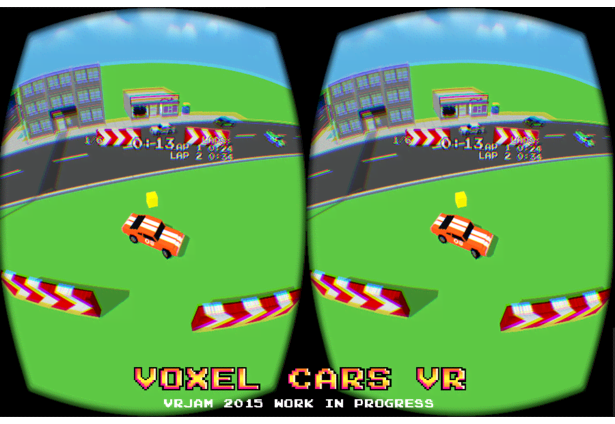 The cars have full physics and collision detection with obstacles. 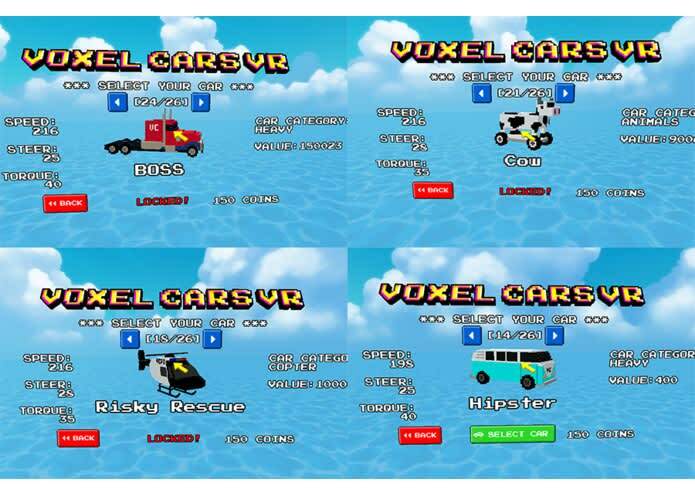 During the gameplay user can unlock new vehicles and race tracks (new cars and tracks will be added in updates). 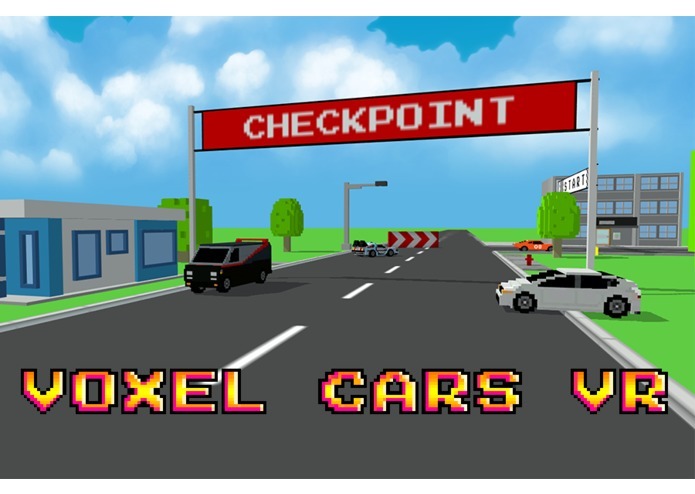 The game takes place in a colorful voxel world. 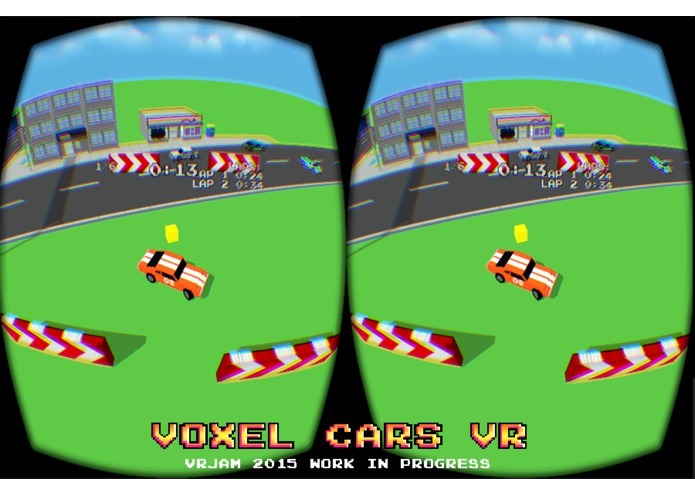 User controls cars in virtual reality space with his head movement. 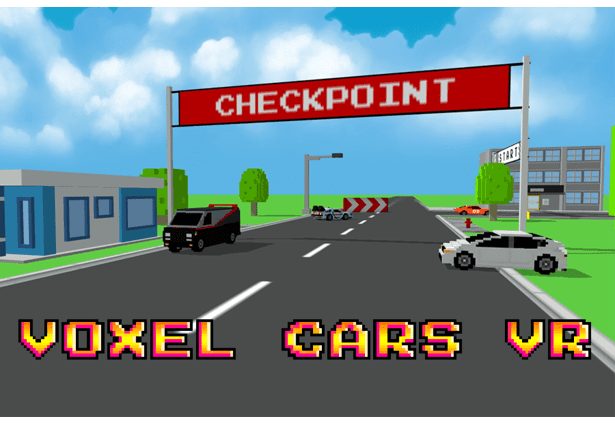 The car goes where player looks. Watching car interactions with environment around the player creates unique layer of immersion which ensures joyful and thrilling experience. We have car physics ready. 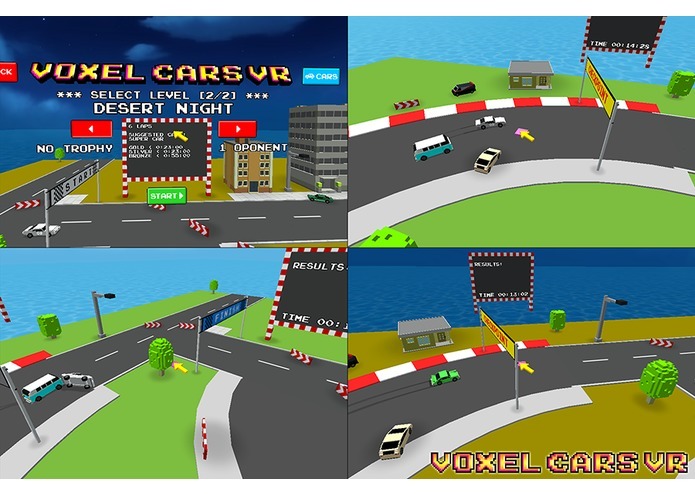 After testing different control schemes we developed original solution which gives full car control with Gear VR device (no additional gamepad needed). 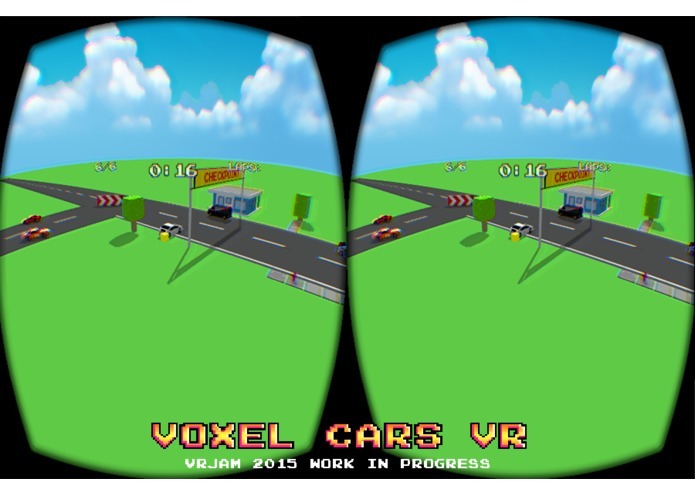 We made about 60% of 3D models for the game (buildings, obstacles, road parts, 15 voxel cars). 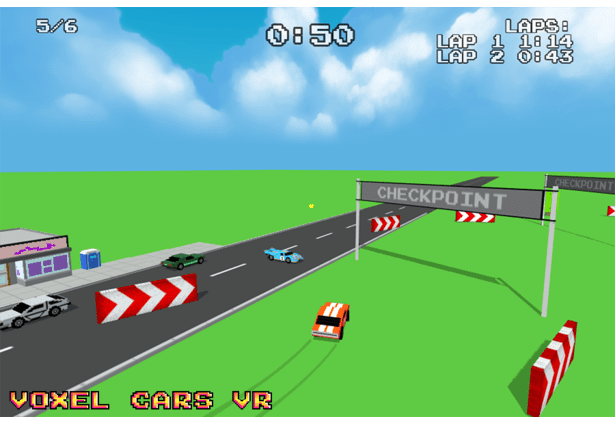 We have the first test level with checkpoint race ready to play. We are focusing on gameplay and replayability. 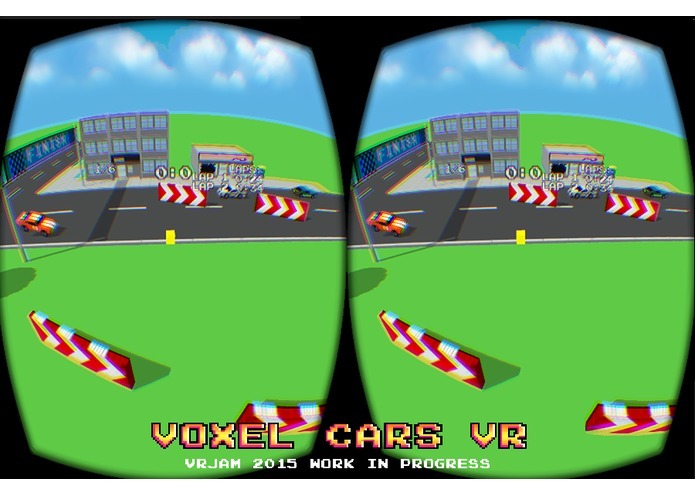 Our mission is to make Voxel Cars VR enjoyable and really fun to play on VR device!